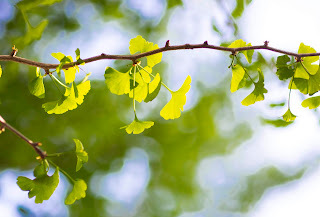 Extracts from the seeds of the Ginkgo biloba tree show antibacterial activity on pathogens that can cause skin infections such as acne, psoriasis, dermatitis and eczema, a study at Emory University finds. Frontiers in Microbiology is publishing the results of laboratory experiments showing that the extracts inhibit the growth of Cutibacterium acnes, Staphylococcus aureus and Streptococcus pyogenes. A nearly 200-year-old copy of a 16th-century text on traditional Chinese medicine, the Ben Cao Gang Mu, guided the researchers in their experiments. “It was like blowing the dust off knowledge from the past and rediscovering something that had been there all along,” says Xinyi (Xena) Huang, co-first author of the paper. Huang, a native of China, began the project for her senior thesis as a biology major at Emory. She has since graduated from Emory and is now a student at the University of Maryland School of Pharmacy. Quave is an ethnobotanist, studying how indigenous people use plants in their healing practices, to uncover promising candidates for new drugs. Read more about the discovery. Click here to read more about the discovery. “I have spent the past four years at Emory University investigating how an infant, who has no problem walking around the grocery store in her onesie, develops into an adult that fears public speaking for fear of being negatively judged,” says Sara Botto in her newly released TEDxAtlanta talk. Botto is a doctoral candidate in the Cognition and Development program of Emory’s Department of Psychology. Together with Emory psychologist Philippe Rochat, she designed experiments to investigate when in development we become sensitive to others’ evaluations — a big part of being human. Botto’s research showed that, even before they can form a simple sentence, children are sensitive to the evaluations of others, and alter their behavior accordingly. 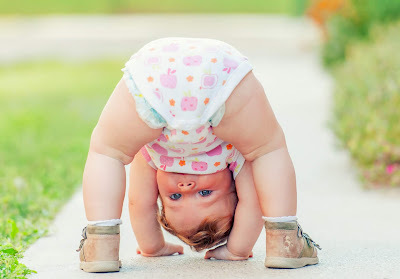 Visit Botto’s web site, AdultingWithKids.com, to learn more about credible, science-based child development research. It is well-established that, on average, men outperform women on a spatial reasoning task known as mental rotation — imagining multi-dimensional objects from different points of view. Men are not, however, born with this advantage, suggests a major meta-analysis by psychologists at Emory University. Instead, males gain a slight advantage in mental-rotation performance during the first years of formal schooling, and this advantage slowly grows with age, tripling in size by the end of adolescence. The Psychological Bulletin, a journal of the American Psychological Association, is publishing the findings. Co-authors of the paper include Stella Lourenco, associate professor of psychology at Emory, whose lab specializes in the development of spatial and numerical cognition. Co-author Eukyung Yhang worked on the paper as an Emory undergraduate, funded by the university’s Institute for Quantitative Theory and Methods. Yhang graduated in 2018 and is now at Yale University School of Medicine. The meta-analysis included 128 studies of gender differences in spatial reasoning, combining statistics on more than 30,000 children and adolescents aged three to 18 years. The authors found no gender difference in mental-rotation skills among preschoolers, but a small male advantage emerged in children between the ages of six and eight. While differences in verbal and mathematical abilities between men and women tend to be small or non-existent, twice as many men as women are top performers in mental rotation, making it one of the largest gender differences in cognition. Mental rotation is considered one of the hallmarks of spatial reasoning. “If you’re packing your suitcase and trying to figure out how each item can fit within that space, or you’re building furniture based on a diagram, you’re likely engaged in mental rotation, imagining how different objects can rotate to fit together,” Lauer explains. It takes most of childhood and adolescence for the gender gap in spatial skills to reach the size of the difference seen in adulthood. Prior research has also shown that superior spatial skills predict success in male-dominated science, technology engineering and math (STEM) fields, and that the gender difference in spatial reasoning may contribute to the gender disparity in these STEM fields. It takes most of childhood and adolescence for the gender gap in spatial skills to reach the size of the difference seen in adulthood, Lauer says. She adds that the meta-analysis did not address causes for why the gender gap for mental rotation emerges and grows. Lauer notes that previous research has shown that parents use more spatial language when they talk to preschool sons than daughters. 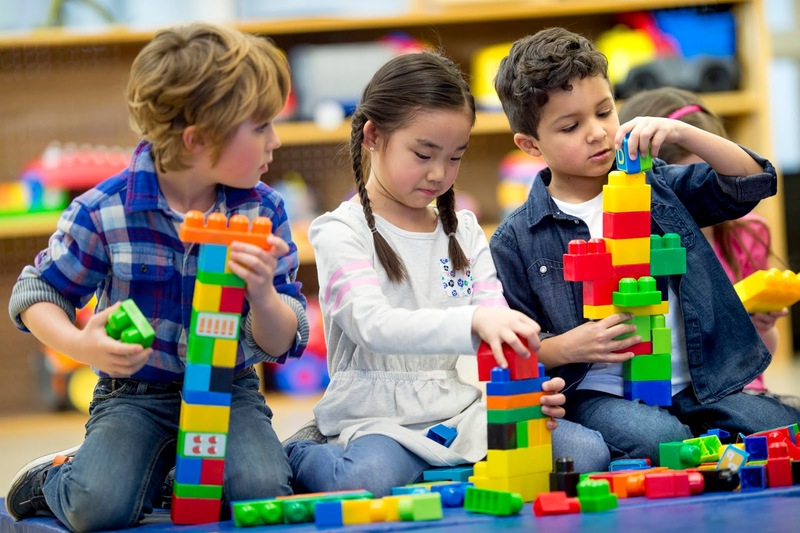 Studies have also found that girls report more anxiety about having to perform spatial tasks than do boys by first grade, and that children are aware of gender stereotypes about spatial intelligence during elementary school. 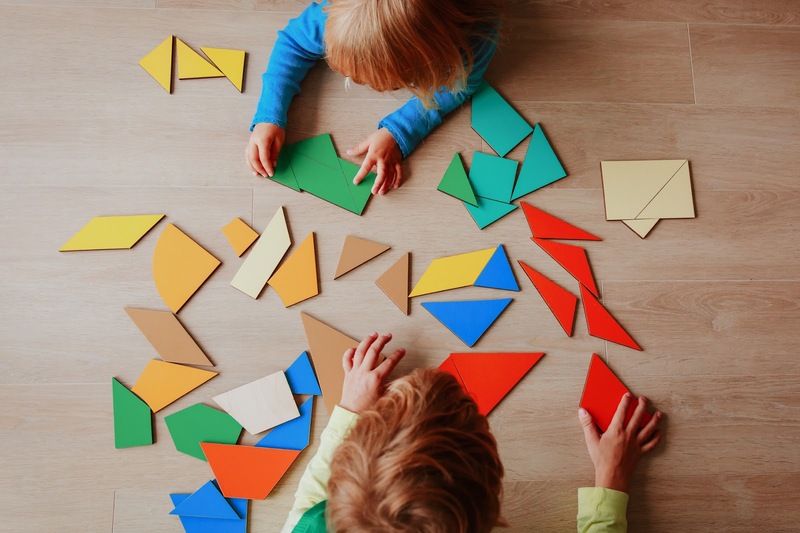 “Now that we’ve characterized how gender differences in spatial reasoning skills develop in children over time we can start to hone in on the reasons for those differences,” Lauer says. Meanwhile, she adds, parents may want to be aware to encourage both their daughters and sons to play with blocks and other construction items that might help in the development of spatial reasoning skills, since evidence shows that these skills can be improved with training. “Giving both girls and boys more opportunities to develop their spatial skills is something that parents and educators have the power to do,” Lauer says. Lauer has accepted a post-doctoral fellowship position at New York University. Her PhD advisor is Patricia Bauer, a professor of psychology at Emory focused on cognition and child development. Biophysicists have used an automated method to model a living system — the dynamics of a worm perceiving and escaping pain. The Proceedings of the National Academy of Sciences (PNAS) published the results, which worked with data from experiments on the C. elegans roundworm. The model makes accurate predictions about the dynamics of the worm behavior, and these predictions are biologically interpretable and have been experimentally verified. Collaborators on the paper include first author Bryan Daniels, a theorist from Arizona State University, and co-author William Ryu, an experimentalist from the University of Toronto. The researchers used an algorithm, developed in 2015 by Daniels and Nemenman, that teaches a computer how to efficiently search for the laws that underlie natural dynamical systems, including complex biological ones. They dubbed the algorithm “Sir Isaac,” after one of the most famous scientists of all time — Sir Isaac Newton. Their long-term goal is to develop the algorithm into a “robot scientist,” to automate and speed up the scientific method of forming quantitative hypotheses, then testing them by looking at data and experiments. While Newton’s Three Laws of Motion can be used to predict dynamics for mechanical systems, the biophysicists want to develop similar predictive dynamical approaches that can be applied to living systems. For the PNAS paper, they focused on the decision-making involved when C. elegans responds to a sensory stimulus. 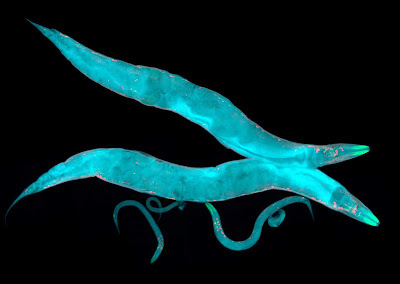 The data on C. elegans had been previously gathered by the Ryu lab, which develops methods to measure and analyze behavioral responses of the roundworm at the holistic level, from basic motor gestures to long-term behavioral programs. C. elegans is a well-established laboratory animal model system. Most C. elegans have only 302 neurons, few muscles and a limited repertoire of motion. A sequence of experiments involved interrupting the forward movement of individual C. elegans with a laser strike to the head. When the laser strikes a worm, it withdraws, briefly accelerating backwards and eventually returning to forward motion, usually in a different direction. Individual worms respond differently. Some, for instance, immediately reverse direction upon laser stimulus, while others pause briefly before responding. Another variable in the experiments is the intensity of the laser: Worms respond faster to hotter and more rapidly rising temperatures. For the PNAS paper, the researchers fed the Sir Isaac platform the motion data from the first few seconds of the experiments — before and shortly after the laser strikes a worm and it initially reacts. From this limited data, the algorithm was able to capture the average responses that matched the experimental results and also to predict the motion of the worm well beyond these initial few seconds, generalizing from the limited knowledge. The prediction left only 10 percent of the variability in the worm motion that can be attributed to the laser stimulus unexplained. This was twice as good as the best prior models, which were not aided by automated inference. The model derived by Sir Isaac was well-matched to the biology of C. elegans, providing interpretable results for both the sensory processing and the motor response, hinting at the potential of artificial intelligence to aid in discovery of accurate and interpretable models of more complex systems. World Sleep Day is March 15 this year. The annual event is a celebration of sleep and a call to action on issues related to sleep, including medicine, education and social aspects. 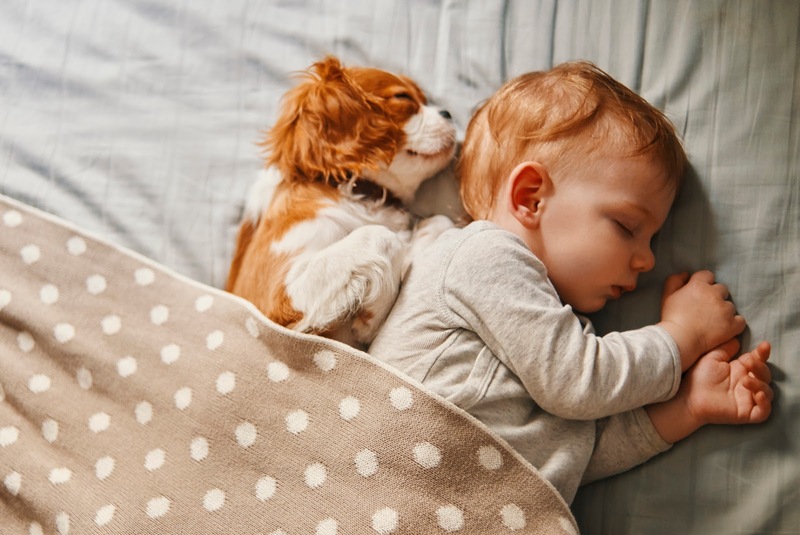 In Emory anthropologist Carol Worthman's research around the world, "sleep has emerged as both more flexible and more social than one would think from the perspective of the West," writes Todd Pitock in Aeon Magazine. "When Worthman started exploring the anthropology of sleep more than a decade ago," the article continues, "the topic was way below the radar of colleagues who believed that culture was something you did while awake. But she found otherwise." What made voters flip parties in 2016?